Last month I wrote about my process of designing what I called vesting sparklines. I was super excited about them because they packed so much information into a small area and because they made so much sense to me. There is nothing like the moment when you suddenly come upon the answer to a design problem. Whether it is a particular interaction or the perfect design element, it is a moment of pure elation. When I showed a couple coworkers an early version, they were extremely confused. They wanted to understand but even with me there explaining it to them, it took a while. Even then, they didn’t seem to love it. And these are patient, smart people, open to the idea. Users are typically in a rush, distracted, and resistant to change. But that’s okay, I thought, it’s just an early version. So I added a detailed modal to my prototype, so that if you click the sparkline you see a carefully labeled version of it with a table showing all the data below. Hover any piece of the chart and the appropriate table row lights up. Hover any row and the appropriate bar on the chart lights up. Recently, another group of coworkers was discussing showing a timeline of events. I couldn’t contain my excitement so I called them over to my desk and showed them my sketch file with the table and the hover and everything. Five brilliant people, all very knowledgeable in the world of equity compensation, didn’t understand it. So I explained. And explained. And it still wasn’t clear. Part of my “improved” design: simple, right? Wrong! My problem with this idea was that it wasn’t directly addressing a known user need. It was just an exercise I came up with based on the Tufte book I read. They say when the only tool you know how to use is a hammer, everything looks like a nail. I was wielding my Tufte hammer and swinging it all around, not realizing that there were no nails sticking out. Another lesson here is that even designers are guilty of self design. I’ve always been an Excel nerd, in love with spreadsheets and data and graphs. Most normal people aren’t. So while the sparklines I designed may have been perfect for me, they were utterly baffling for most other people. It’s hard to do, but as a designer, sometimes you need to kill your darlings. So goodbye vesting sparklines. It was nice knowing you. While designing this, I taught myself how to get API responses from the Chrome inspector, turn that json into csv, and play with it in Excel. This has already come in handy in a real work situation when we wanted to dig into the responses of the API when testing some recent work. Also, I enjoyed the process of creating this design. It was truly eye-opening to test the it and see what people thought about it. Those tests didn’t go as planned, but that’s why we test! Fall out of love with your ideas and fall in love with your process. This post is #7 in a series of posts about my UX research about UX Maturity. 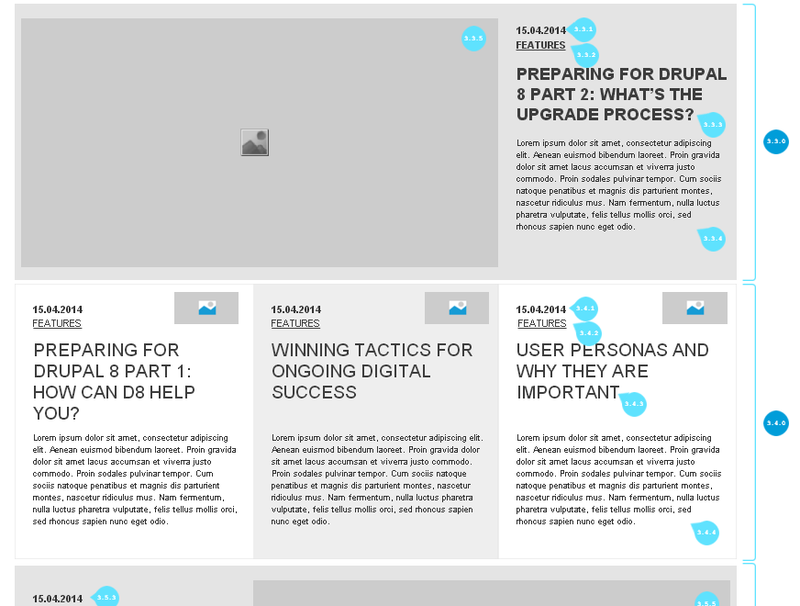 For all other posts, see my UX Maturity Research page. But now I’m starting to have my doubts. I recently realized that while it would be great to speed up design, that might not be the best approach to increasing an organization’s UX maturity. The reality is that good design does slow things down. But isn’t it better to walk in the right direction than to run in the wrong direction? Yes, well-designed solutions take longer than just getting features done, but they make your users happy, they are less buggy, more maintainable and extensible, and they differentiate you from your competitors. In other words, yes UX is slow, but no that’s not a problem. As I was writing this post, I decided to look up some transcripts of the podcast that first introduced me to User Research 3 years ago: Dollars to Donuts. Turns out that many of the mature companies featured in this podcast do still have speed pressures. I think if we double the size of the research team, I’m not sure that would be in the best interest of the company. I think that might actually slow things down. [The research team] got our foot in the door with some product teams and showed what kind of impact we could have and how… rapidly we could do this work… How it could speed up development in some cases. But again, speed isn’t everything. You can go too fast if you skip especially those early important steps of focusing on ‘Okay, let’s clarify, what are we doing?’ … if you cut the wrong corners, there’s a “gotcha” at the end. Like many things in life, this is a very delicate balancing act. I’m so confused. But that’s normal in research. Going forward, I’ll continue exploring ways to incentivize teams to care about design while keeping up the speed. However, I’ll also look into ways of embracing the slowness! I LOVE Duolingo. I can’t recommend it enough for people who want to start learning a new language. Ever since I first tweeted about it back in 2015, I’ve been using it pretty much daily. First for a little bit of Spanish, and now for French and even a little bit of Vietnamese! However, I have a few bones to pick, especially with some of the more recent changes, both as a user and as a UX professional. Back in the day, Duolingo used “lingots” to reward users for things like having a long streak of practicing, allowing them to “buy” things like extra lessons or even costumes for Duolingo’s owl mascot. This was consistent between the web application and the mobile app. But sometime in 2017, the mobile app switched over from lingots to “gems”. I remember seeing a nice notification after that switch that explained to me why the change was made and what it meant to me. No harm done. The weird thing: The web app didn’t switch over. I thought this might just be a temporary transition, but several months later and it still hasn’t. So one one device I have gems and on the other I have lingots. The Shop on mobile: I have 3272 gems and I’ve wagered 50 gems on “Double or Nothing”. The Shop on web: Even though it’s the same account, I have 2334 lingots and I haven’t made a “Double or Nothing” wager but I can for 5 lingots. I really have trouble keeping track of the difference between the two. I wish I didn’t care about these fake internet points but when my 650+ day streak is riding on them, I can’t ignore them. My suggestion to Duolingo: Follow Jakob Nielsen’s heuristic of “Consistency and standards”. Choose one: gems or lingots. Then get rid of the other. It may be because my iPhone 6 is no spring chicken, but I’m regularly frustrated by the following behavior on Duolingo’s iPhone app. On “listen then type” questions, when I tap the field to start typing, nothing seems to happen. So I tap again. The keyboard then appears (due to my first tap) then immediately disappears (due to my second tap). So I tap once more and all is well. Confusing? Here’s a gif I made to illustrate it. The double-tap bug. Due to a delay in registering the first tap, the first two taps cancel each other out. The third one works though! The bad thing is that this doesn’t seem to consistently happen. Sometimes when I tap the first time the keyboard immediately appears so there’s no problem. Sometimes I tap, then wait patiently for the keyboard to appear, resisting the urge to tap again, only to be staring at my screen for several seconds like an idiot, apparently because the app didn’t actually notice my first tap. The problem seems to be that there’s a delay in registering the first tap, possibly due to the phone working hard to play the audio. I wonder if it’s possible to ignore a tap to close the keyboard if it happens immediately after the keyboard was opened. Also, perhaps make the tappable area larger on these questions? That would prevent the “staring like an idiot” scenario above. On the iOS app, after my first five questions of the day then again after about ten, I get a message. Instead of letting me continue on in my French flow, that damn owl pops up and gives me an infuriating pat on the head. Yes, maybe when I start learning Japanese and am getting frustrated with the first few lessons, this might be a welcome ray of light. But not when I’ve devoured all the French content that Duolingo has to offer and I’m just reviewing a few old words. In that case, it’s just annoying. As I said in my tweet, maybe these messages should just be for beginners. Or better yet, why not add a “Stop showing these messages” button to allow for opt-out? But it’s not all bad! With that being said, I still love Duolingo and will probably continue using it for years to come. And not all of their new stuff is bad. I love Duolingo’s new stories feature, which seems to only be available on the web app under the “Labs” tab or at stories.duolingo.com. These are short, enjoyable stories with words on screen and voices narrating, these are a great way for intermediate to advanced learners to get comfortable with how a language is spoken. They’re interactive to make sure you’re paying attention. Duolingo’s story. It’s asking me which word means “to stay on the surface of the water”. It’s “flotte”! And best of all, they’re entertaining. The stories usually have a nice little twist at the end. The twist: The man that Rose was speaking to at the art gallery was Captain Black Beard himself! Keep doing what you’re doing Duolingo! For the gems vs. lingots, I’m guessing that either I’ve run into an edge-case bug or that there is some kind of constraint that I’m not aware of. For the messages, I know that I’m now turning into an edge case. There are millions more beginners on your platform than people like me who have consumed all content for a given language, but still, with a couple of small changes, you can keep me preaching about how awesome you are without alienating your new customers at all! For the stories, please make them mainstream! They’re such a great, entertaining way to learn! Want to talk Duolingo with me? Find me on LinkedIn! I just finished reading Interviewing Users. It’s one that has been on my list for a long time, probably because I loved Steve Portigal’s Dollars to Donuts podcast. It did not disappoint. It was a great read for me because I’ve done enough user research to have some experience to map to, but not so much that I knew everything in the book. Here’s a collection of quotes from the book that I found valuable, organized by theme. Portigal first walks the reader through what to do before interviewing users. Once you’ve agreed on the objectives and recruited participants, schedule two interviews a day or so. But why not more? And while it’s tempting to save time or resources by using Skype or a phone call or getting users to come to you, go to where the users are. How many people should go to each interview? Prepare a shot list before interviews that lists the photos that you want to take. As soon as possible after each interview, write a top-of mind summary. Video or audio recording is the only way to capture everything the participant says. Portigal offers lots of tips about actually conducting the interview. If you change topic, “signal your lane changes”. Once you’ve built rapport, you will reach a tipping point from question/answer to question/story. Ask about sequence, quantity, examples. Ask for exceptions, lists, relationships. Clarify comments, language/ code words, and emotional cues. Ask them to teach, to compare, etc. You want to know about their needs. But you can’t directly ask about their needs. So you ask them indirectly. You don’t actually have to implement any of these designs. Practice interviewing. Even in daily life. Also, review your interview recordings with a critical eye like a football coach would review game tape. Other tips include teaching others to interview and even taking an improv class, because that will improve your abilities of thinking on your feet, accepting awkwardness, and “going with it”. Divide and conquer: “get your data in text form and divide it among the team.” Each team member reviews and summarizes one or more interviews. I really enjoyed this book and I’m sure I’ll continue to refer to it (and these notes) for years to come! I’m currently on the trip of a lifetime. My fiancee Carolyn and I are exploring Southeast Asia with no return ticket and no real timeline other than “Be back in Canada by December”. Carolyn and I wanted a lightweight way to share and remember our trip, so we are posting daily to ShaneAndCarolyn.wordpress.com using Post by Email. The posts are mostly just fun pictures and anecdotes, but I recently posted one with a bit of a design spin, so I wanted to re-post it here on my tech blog. So here it is! Feel free to check out the other posts as well. Designers who are working on websites sometimes sketch out layouts and put what’s called fake placeholder text to show where the actual web content goes. This is sometimes known as Greeked Text. Here’s what I mean. The idea is that if you put the buttons and icons and navigation in the right place, that your website will be great and you can worry about the content later. Some say that this is a bad thing– content is king so it should come first- but I think that it depends. Usually it’s not the end of the world. That is, as long as you ACTUALLY CREATE CONTENT.